This would be a great story to use with older students in a science class when talking about the human body. After reading the story, have students take a virtual look at different parts of the body. This is a sequel to Amazing Grace. 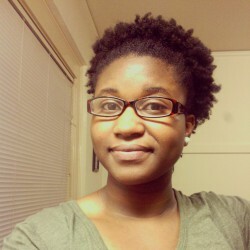 In this story, Grace receives plane tickets to Africa where her is located. Grace realizes that although she loves the idea of having a family where her mother and father are in one place, she likes the way things are. This would be another great story to touch on family units and dynamics. Turkeys want candy too! 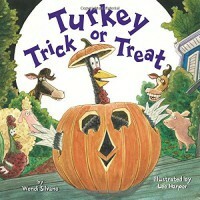 At least the turkey in this story does, and he will dress as just about anything to trick others into giving him sweet treats.I would use this story in my classroom to transition from Halloween to Thanksgiving and have my students create their own costume for their turkey sheet. After this, I would have them write what they are thankful for. This is a story about an unlikely friendship between a spider and a pig. 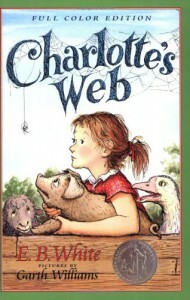 Wilbur and Charlotte become the best of friends after Charlotte begins to write letters in her web, drawing an incredible amount of attention to Wilbur. Using this story as a way to introduce diversity is a great idea. This will help students understand that although everyone is different, there is a way to celebrate those differences. Have students come up with three words of their own to describe someone else in the class, and this could be used as a self esteem exercise in the class as well. All students need someone in their corner when it seems as though no one cares. That's just what Mr. Falker did. He helped one of his students work through her dyslexia and saw her potential, showing her just how intelligent she was when others overlooked her. 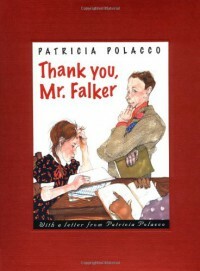 This would be a great story to read at the beginning of the year to help students become more comfortable with their teacher because after all, everyone needs a teacher like Mr. Falker in their lives. 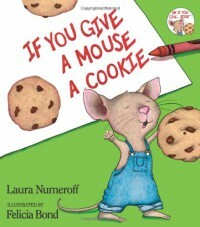 This is story about all the events that could possibly happen if you give a mouse a cookie. This story could be used as an introduction to sequencing. Have the students recall all the events that happened in the story, and have them place them in the order in which the events took place. 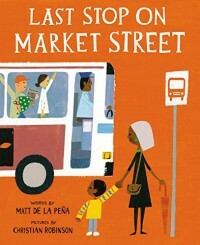 This is the story of a young boy traveling to Market Street with his grandmother. He continues to question her about different things they see. This is a great story to teach children about being grateful and seeing beauty where they may be none. After reading this story have students analyze an abstract piece of art or a realistic picture and write about all that they see. Encourage them to think outside the ordinary. This would be a way to integrate art into literature. This is the story of a catepillar that goes through the stages of becoming a butterfly. This story could be used to teach younger students the life cycle of a butterfly. The story itself could be used in conjunction with art in having students create their own version of the catepillar and butterfly from different art supplies. This is a creative story that captures both the ups and downs of life. This would be a great story to use in the classroom as a self esteem tool. This book could be used to encourage students to set their goals and work toward them, while reminding them that although attaining those goals may not be as easy as it seems, they would still be achievable. 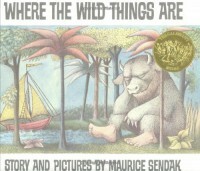 After Max is sent to bed with no dinner, he escapes into his own mind and travels where the wild things are. After becoming their ruler, he soon learns that he misses home. He returns with his dinnerwaiting on him. This would be a great story to use as a writing prompt in the classroom. Students could write where they would travel and what they would do if they were to become ruler of their own land. 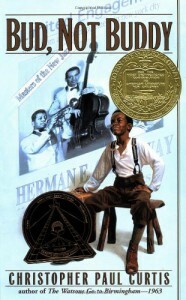 This is the story about a young African American boy bring raised by his single mother during the Great Depression. He goes on a journey to find his father after his mother provides some small, but significant information about him. This story could be used to teach about family units and dynamic, history and the Great Depression, and African American lifestyle and hardships in past times. 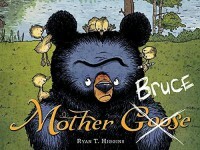 This is a really cute story about a bear that ends up taking care of a few goslings. This story could be used in a classroom setting to begin a discussion on family units and dynamic in different households. This would be a great story for a lesson on perception. 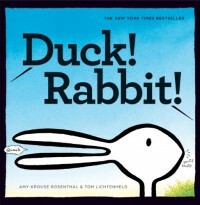 In this story, there is an ongoing debate on whether or other the figure is a duck or rabbit. In doing a lesson with this story, students could come up with their own scenarios and have them determine whether it could be a certain type of animal or figure. 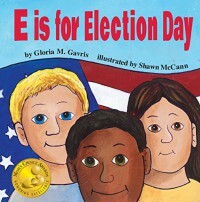 This a great book that teaches children about different political terms through each letter of the alphabet. 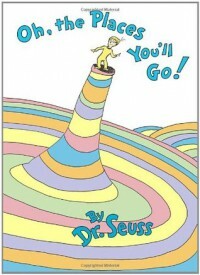 This would be a great story to read to students during the election season. This could be a way to introduce to them the election process and allow them to have something to vote on, whether classroom or school wide. This story could be used in the classroom to teach students about fiction and nonfiction texts. Before teaching this story, have students review what makes a story fiction or nonfiction. 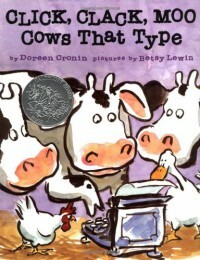 This story could also be used to teach students about different farm animals during a unit on agriculture.